In ‘The Strong Winds’ Trilogy, Julia Jones pulls off something quite remarkable. To suggest it was conceived as an ‘homage’ to Arthur Ransome perhaps does both authors a disservice, because what Jones achieves in her trilogy of children’s books; in which the key features of Ransome also appear – sailing, adventure and the resourcefulness of youth in the face of an alien adult world – is something which will appeal to Ransome fans, but also to those for whom Ransome’s style and characterisation is locked in a bygone age. The ‘Strong Winds’ Trilogy is Ransome for our times. Julia Jones gives us 21st century children facing modern, everyday, real problems. Whether you like Ransome or not, you can enjoy ‘Strong Winds.’ These are contemporary stories, with ‘issues’ but without being ‘issue based.’ More than that, the adventures are founded in the reality of the lives of these very ‘real’ characters. I thoroughly enjoyed all three books of ‘The Strong Winds’ Trilogy and could recommend them to both adults and young people alike. These are the sort of books you revel in reading for yourself and make the perfect present for other people. They are books that will sit on many a shelf for a lifetime. The only criticism I could have of ‘The Strong Winds’ Trilogy, is that, like all good things, they had to come to an end. 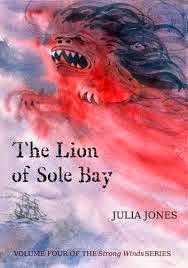 With ‘The Lion of Sole Bay’, Julia Jones has opened the sea chest again. Moving beyond the Trilogy ‘Strong Winds’ is destined to become a series – and I for one hope that Jone will find the time and energy to match Ransome’s Swallows and Amazons series by writing (at least) twelve novels. You can read ‘The Lion of Sole Bay’ as a standalone, and if you do so, you’ll rush back to read the Trilogy. If you have read the Trilogy in advance you’ll find in ‘The Lion of Sole Bay’ an author in full stride, completely comfortable with her writing style. This is a tour de force. Certainly I have grown into the Jones style of storytelling over the past three novels and this time I sat down with some expectations, which were not disappointed. Jones managed to far exceed my already high expectations. She has taken a ‘minor’ character from the Trilogy, Luke, to be the ‘hero’ of this tale. In doing so she reminds us that there are no ‘minor’ characters, that everyone has a story. Jones’ ability to present the world through the eyes of a twelve year old is impressive, and we get lost in Luke’s ‘imagination’ to the point that we start to ‘believe’ as he does. ‘The Lion of Sole Bay’ has two ‘heroines’, both unlikely – Angel has ADHD and Helen is being reared by a seriously demented mother. The result is the sense of a ‘community’ story, with characters’ lives interwoven and the reader feels every bit a part of the story. Jones is, as ever, uncompromising in her portrayal of such ‘issues’ as drugs and disability, but the issues are so embedded into the narrative that they never jar or threaten the storyline. They simply make the characters more real because they have the ‘real’ flaws of ‘real’ people. This requires expertise and sensitivity on the part of an author, and Jones never skips a beat. I am particularly impressed by the way Jones draws adult characters such as ‘mad’ Peter, and Helen’s drug-fuelled mother Hendrike. While these are shown in a way that helps a child to make sense of them, they are also convincing enough portrayals for adults to stop and think about the relationship between adults and children. We see the child’s perspective and it makes us consider our own responsibilities. Julia Jones draws both adults and children into her narrative web, and all can learn from the story. As for the sailing, I leave it to those more knowledgeable than myself to debate the in’s and out’s of that aspect. Given Jones’ knowledge and love of sailing I’m sure it’s all accurate and ‘ship shape.’ For an ‘armchair’ sailor like myself, I’ll simply say it’s all thrilling enough and interesting enough to form the basis of the story. But there’s much more to it than sailing. Structurally the plot moves along with perfect pacing. I found myself slowing down as I read to the end, not wanting the story to end, but desperate to know what happens next. That, for me, is the sign of a truly well written novel. Using a truncated time frame, round Halloween, worked really well on a number of levels and the linking of historical ‘fact’ with the present is an element I enjoyed immensely. The central story is further enhanced by the opportunity for the reader to ‘engage’ even more. The ‘Sole Bay Lectures’, delivered to the children by Angel’s father in their entirety (offstage so to speak) during a particularly tense time in the story, are written out at the end for anyone who wants to know more about the original Battle of Sole Bay 1672 which forms an historical backdrop (and in some senses a metaphorical parallel) of the modern ‘adventure’ part of the story. We are left questioning the ‘fictionality’ of M.V.Vandervelde which is a writer’s conceit I particularly enjoy. I get the feeling Jones enjoys writing her fiction as much as I enjoy reading it, and feeling that bond between writer and reader engagement is rare and powerful. Julia ‘gives’ throughout the novel is so many ways. She also gives us additional ‘material’ in the form of personal snippets such as reference to Ransome’s Picts and the Martyrs, and The Lady of Stavoren. None of this reads like ‘research’ but all of it adds an extra dimension to the ‘story.’ As does the ‘Tales from the Wheelhouse’ section at the end where Jones explains her personal connection to the Red Lion. Add to this a glossary of Dutch words, maps, pictures of the ‘craft’ and a set of wonderfully evocative illustrations by Claudia Myatt, and you are getting an absolute gem for your money. I have a sense of sadness whenever I finish a Jones novel, knowing I’m going to have to wait a while for the next. But now, with four ‘Strong Winds’ to read again and twelve Ransome to keep me company till the next one comes out, I may just survive until number five hits the shelves? Next year please Julia! 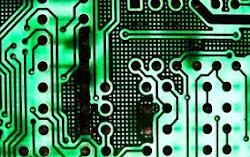 Sign up to Authors Electric's News here! Free gifts, exclusives and more - sign up to the Authors Electric newsletter!